Norland Hampshire Log Cabin: The Norland Hampshire is styled in the classic Branson Cabin styling with its integral canopy. This garden building cab be built as shown in the image or in reverse so is ideal for any corner of the garden. 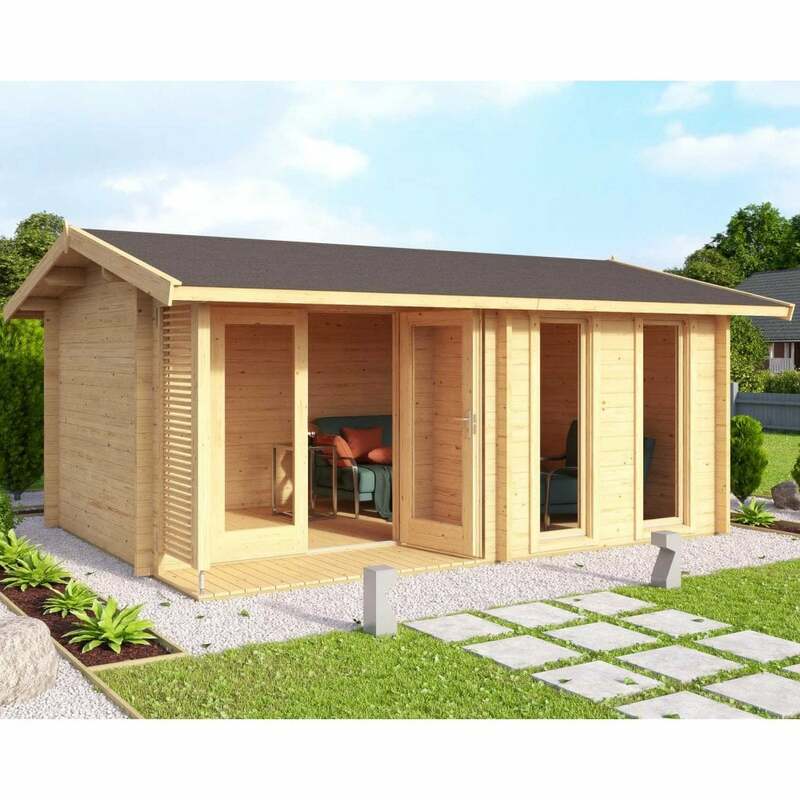 Featuring 44mm walls and superb quality Norland Double Glazing along with the roof insulation option this log cabin is ideal for year round use as an extension to your living space or as an office etc. This building will be delivered in kit form and has interlocking corner joints for a classic appearance and straightforward build.